Microsoft has added a new laptop to its growing stable of Surface devices, and it's amazingly thin and fast. The Surface Laptop has performance, features and design that will redefine the category, said Panos Panay, corporate vice president at Microsoft during an event in New York City on Tuesday. The 13.5-inch laptop is the first pure laptop in the product line and offers an elegant design. Microsoft's other portable Surface devices include the Surface Pro, which is a tablet, and the Surface Book, which is a 2-in-1. The Surface Laptop is 14.5 millimeters thick and weighs 1.25 kilograms. It runs on Intel's Core i5 or i7 processors based on the Kaby Lake architecture, and has up to 1TB of SSD storage. The device will ship on June 15. The entry-level Surface laptop with Core i5 is priced at $999. The Core i7 configuration isn't yet known. The device is priced high considering it doesn't have a discrete graphics processor, said Bob O'Donnell, principal analyst at Technalysis Research. 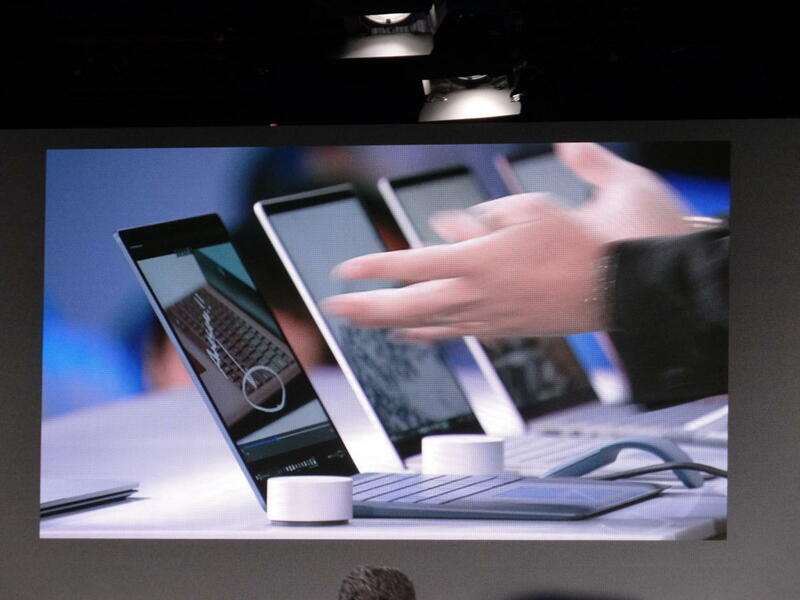 But it's got an amazing design, he said, adding that Microsoft now has a full stable of PC products in its arsenal. It runs on Windows 10 S, which is targeted at students. With Windows 10 S, you'll be able to only run apps available through Windows App store. That gives it functionality much like a Chromebook. Other PC makers will ship Windows 10 S laptops starting at $189 later this year. The Surface Laptop, though, will perhaps be the most powerful laptop based on Windows 10 S, which was also launched on Tuesday. The device can be upgraded to Windows Pro for those who want to run apps not in the Windows App store, but it's not known if the upgrade, which would make it a full-blown laptop, will cost extra. The Surface Laptop is lighter and faster is than any MacBook Air or Pro in the market, Panay said. He spent close to half an hour explaining the nitty-gritty: There are no hinges, bumpers or screws visible, and it has a smooth finish. The device has a touch screen, and can display 3.2 million pixels, like other Surface devices. It supports the Surface Pen for note taking and drawing on screen. The battery life is about 14.5 hours, according to Panay. The laptop will boot up quickly and can be placed in sleep mode without battery life being lost.